I’m trying out a new format this month for my ketogenic diet update – video! What do I talk about in my 11 month update? Update on dairy-free: will I continue dairy free? Hair regrowth: does hair loss mean keto is bad for my thyroid? Ketone blood strips: Have I been doing keto wrong all this time? MCT oil vs. coconut oil: which is better in coffee for ketosis? Why do some people get hungry after drinking Bulletproof coffee? Here is the Keto Talk with Jimmy Moore and Doc Nally, that I reference, where they talk about carb ups being unnecessary for women. 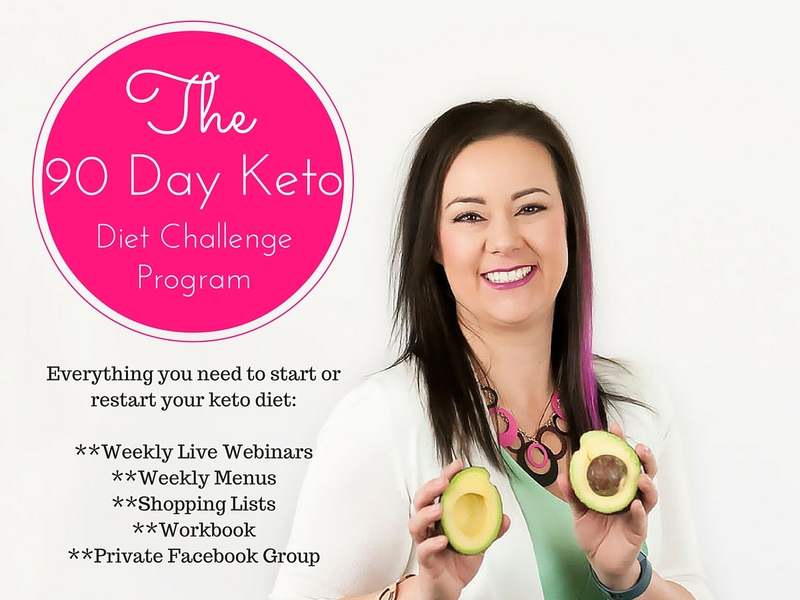 Are you struggling with your keto diet? Or maybe you’re ready to try it out for the first time? Check out my 90-Day Keto Diet Challenge Program. I give you easy formulas to meet your macros, weekly live webinars with me, menus and shopping lists, plus group support.